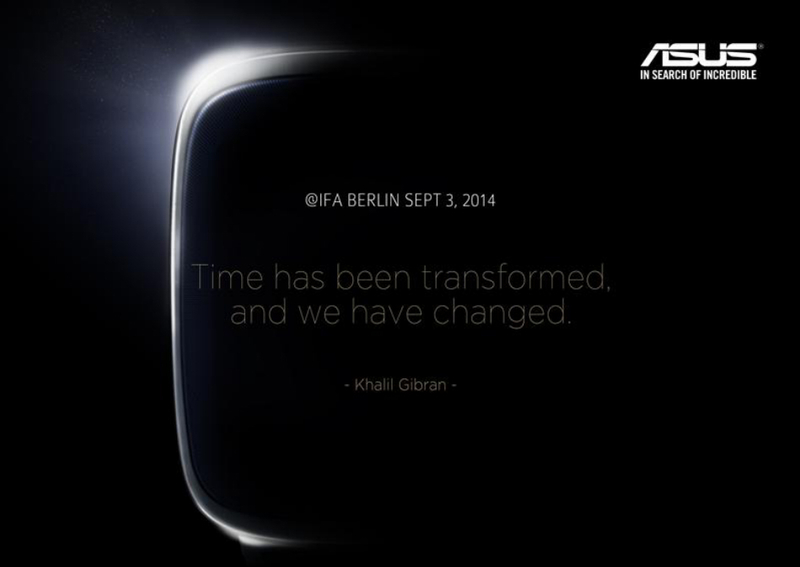 With ASUS taking to Twitter and teasing an upcoming announcement with the quote, “Time has been transformed and we have changed,” first spoken by Khalil Gibran, it won’t be any surprise when the company unveils its Android Wear-powered smartwatch on September 3 at an IFA event in Berlin, Germany. ASUS was first announced as one of Google’s main partners for Android Wear, and since Motorola, LG, and Samsung have already shown off their ideas of what Android Wear should be, it is now ASUS’ turn. The picture tweeted by ASUS does show a bit of an outline for a device, but definitely doesn’t give us too much detail. We can see that it will have a lighter-colored bezel, which could be a faux metal material, but more than likely plastic. ASUS has a history of producing good hardware, so we are looking forward to see what ASUS has in store for Android Wear. It is going to be a busy September for Android Wear lovers, as LG is rumored to show off the G Watch 2, Motorola will release the Moto 360, and now ASUS will unveil their work. Busy month.